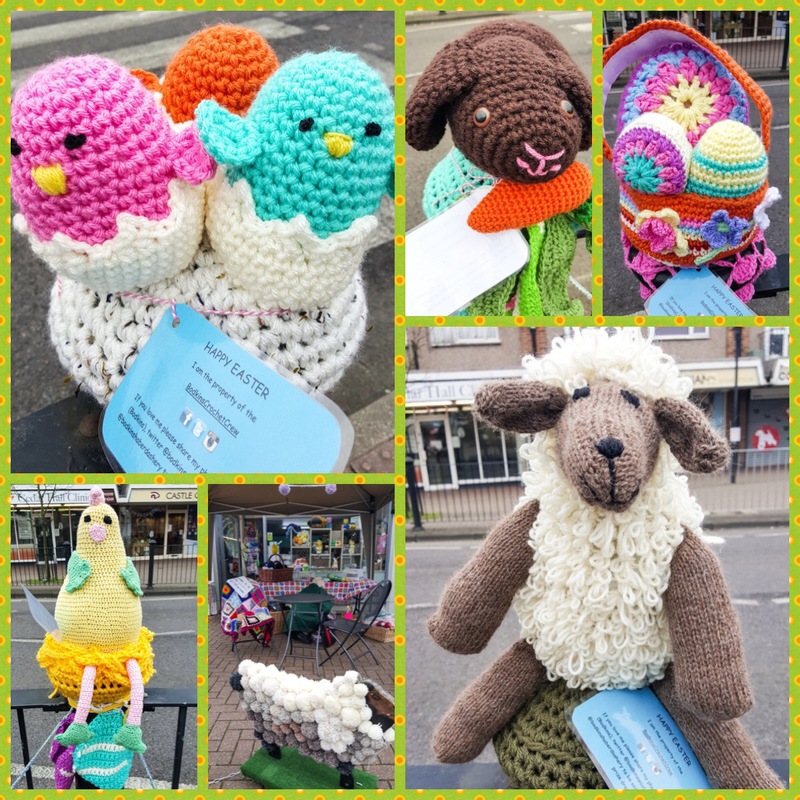 The crochet crew at Bodkins treated our village to a bit of woolly whimsy and colour this weekend. I am learning to appreciate the very long weekend that is the British Easter holiday. It starts on Friday (aka Good Friday) and continues through Easter Monday, by which time I am feeling over-chocolated and despairing of ever seeing the mailman again. I chafe against the lack of separation of church and state, but embrace the chance to to take a few days off to spend time with both family and nature, and to celebrate the arrival of spring. Happy Easter everyone! May the newness of the season resonate in your soul and find expression in your heart. I hope that this weekend has been an opportunity for you to celebrate what matters to you, with the people you love. did you knit the lamb?